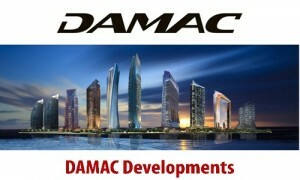 Luxury real estate developer DAMAC Properties has been at the forefront of Dubai’s global promotion efforts by conducting 237 promotional activities during the first nine months of 2015 – almost one event a day during the period. The company has organised roadshows, exhibitions and sale events in 72 cities around the world; with key focus on the GCC, Middle East, Asia, Europe and Africa. Executives from DAMAC Properties reported a positive response from potential investors in Dubai’s growth story with particular attraction on the high-end luxury living concepts available in the emirate. Projects such as the 55 million sq ft ‘AKOYA Oxygen’, and branded developments such as the FENDI apartments in DAMAC Heights are also proving popular. There was also much interest in the Paramount Hotels & Resorts luxury hotel apartments, which provide access into Dubai’s booming tourism industry. “These events promote Dubai as a trade and tourism hub, as a major tourist and investment destination. With around 14 million visitors set to arrive in Dubai this year alone, Dubai is well set to become one of the most desirable cities anywhere,” he added. Data from the Dubai Land Department shows that total foreign investment in Dubai real estate reached AED 63 billion from more than 140 nationalities during the first nine months of 2015, including AED 46 billion from international investors, AED 9 billion from the Middle East, and AED 8 billion from other GCC countries. DAMAC Properties has announced its latest brand association, with an exclusive number of luxury villas designed and conceptualised by Bugatti within its AKOYA Oxygen master development.